For an eligant, yet maintanance free look, many of our clients chose our aluminum railing rather than the traditional steel or iron products. 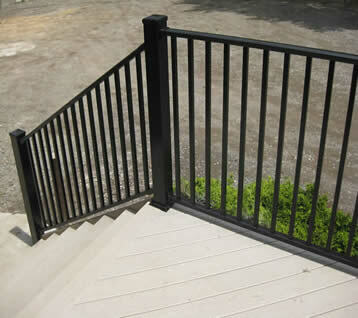 For those who prefer an "old world", classic look, we offer many styles of custom fabricated iron and steel products. Although we have many designs to choose from, we are always happy to fabricate a completely new idea for our clients. 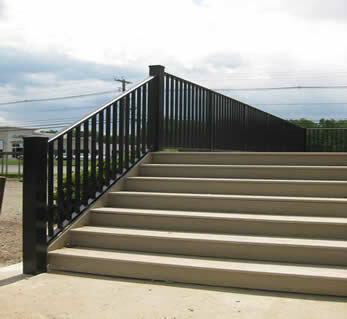 All our railings are handcrafted in North America, many at our facility in Fairfield, New Jersey. Pictures Coming soon - please contact us for product details.